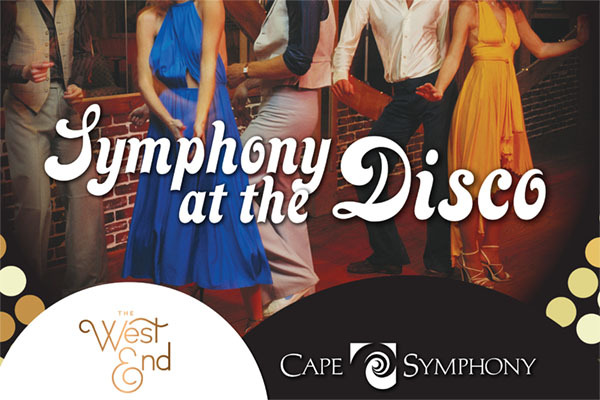 On October 14th, the Cape Symphony and The West End restaurant are hosting a Night at Studio 54! First, enjoy a musical Disco extravaganza with the 10-piece Boogie Wonder Band that has been called “the most celebrated disco band of our generation” joined by the Cape Symphony’s 60-piece orchestra for a 3pm and 7:30pm show at the Barnstable Performing Arts Center. Then, head to The West End for dinner before or after the show and receive 20% off your dinner as a ticketholder. After dinner, the restaurant will transform in Studio 54 for an all-night Disco dance party with tunes by DJ Ian Lee. Join symphony conductor Jung-Ho Pak and musical guests on the dance floor for a night to remember! Grab your gold shoes, disco hair and join in on the fun…we’ll see you there!